You'll be £12.99 closer to your next £10.00 credit when you purchase The Great Famine. What's this? Order within the next 2 hours, 13 minutes to get your order processed the next working day! The Irish potato famine of the 1840s – the 'Great Famine' or 'An gorta mór' – is one of the defining events in modern Irish history. Over a five-year period a population of 8.2 million was reduced to 6.5 million through starvation, disease and emigration. The famine permanently changed one of the constituent parts of the United Kingdom as it then stood and its legacies of depopulation, socio-economic and cultural change, political resentment, and the expansion through mass emigration of an Irish 'diaspora' in Britain, North America and the British Empire still have a resonance today. 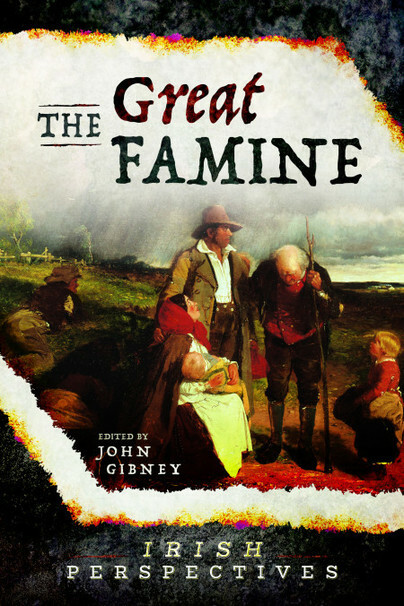 Now, in the first installment of a new collaboration between Pen and Sword and History Ireland magazine, some of the world's leading experts on the Great Famine explore the crisis from a range of perspectives. From the importance of the potato in Irish history, to food exports, political change, the provision of charity, the impact of disease, the role of the authorities, the experience of emigration and the changing interpretation of the famine, this volume explores how this seminal event in Irish, British and world history still has a relevance to the globalised world of the twenty-first century. This selection of essays, edited by John Gibney, is the first instalment of a collaboration between Pen and Sword History and the History Ireland magazine. Its focus is the Irish Potato Famine of the 1840s but it very successfully provides a much wider perspective. There is a tendency in Britain to see the crisis in Ireland as being a result of an underclass having been compelled to consume a less than satisfactory food source which, by the natural intervention of potato blight, suddenly became unavailable. However it becomes clear that, since the introduction of the potato to Europe over two centuries earlier, the potato had been widely regarded as a very nutritious, flexible and acceptable food source. Indeed it is argued that the potato was such a valuable source of nutrition that babies were weaned on it at a very early age and the early cessation of extended lactation amongst women removed the inherent benefits of associated contraception, thereby being a factor in the rapid population growth in 18th Century Ireland. Another valuable insight is that, whilst the deaths and emigration of the 1840s were horrendous, Ireland had experienced a previous and proportionally more devastating population crisis in 1740-1 which, due to the effects of severe winter weather and ensuing dramatically reduced crop yields, led to almost half a million deaths. Without attempting to excuse what happened, the parallel agricultural outputs of Ireland are also explained. Alongside the massive potato crop, Ireland’s very rich farmland produced very substantial grain crops which were shipped out of Ireland to Britain and further afield. This was a hugely financially successful business. Whilst the potato crop remained secure, the paradox of potato crops feeding the working class and the grain crop being an activity associated with the business interests of the ruling class did not especially create discord. It was the inability to react appropriately to a humanitarian crisis in the mid-1840s which brought this agricultural paradox into public awareness. This book represents a very significant reflection on what happened in Ireland in the 1840s and on the various reactions to the crisis, including the coverage in Punch magazine. John Gibney is a historian attached to the Royal Irish Academy's Documents on Irish Foreign Policy Project. He is a long-time contributor to History Ireland and is the author of A short history of Ireland, 1500-2000 (Yale University Press, 2018).